A recent eco-friendly infographic that was posted on Factory Direct Promos not too long ago has been making the rounds on the Internet. The good news is that the information presented in the graphic is getting out there and people are reading and learning and thinking about disposable plastic bags, reusable shopping bags and plastic bag bans. Unfortunately, some of the facts and figures were taken out of context and presented in an inaccurate and incorrect manner on another blog. Let’s set the facts straight. Plastic bag bans are about preventing damage from being inflicted on the environment and her inhabitants. When plastic bags become litter, they pose a very real health risk to animals and people alike. If an animal ingests a plastic bag and dies as a result, this death is unfortunate, but it can have ramifications far beyond the scope of animal activism. This scenario can throw the food chain off balance and as the top of the food chain, humans need to take this problem seriously. Banning or reducing plastic bags will most definitely do away with, or severely diminish demand of disposable bags and this can, in turn, impact plastic bag manufacturing jobs – but is it worth it to keep these manufacturing jobs if it comes at the price of our future health? Plastic bag manufacturers know their product causes environmental harm and they are not making an effort to improve their product and address the shortcomings. Their inaction is sealing their own fate with consumers. If plastic bag manufacturers could make a product that safely breaks down or is easier and cheaper to recycle that would be a gamer changer. Instead of researching and developing a superior product, it seems that plastic bag manufacturers continue to create a product that is flawed and not what consumers want. If consumers aren’t happy with a product, they have a right to stop using it right? More plastic bags are being recycled each year and this is great progress. Given that the national average was hovering around 1 percent for a long time, any increase is good to see. Additionally, there have been a lot of promising campaigns and efforts that indicate the percentage of plastic bags recycled will continue to increase. The issue is that recycling is not a viable solution for the long term. Recycling is a fantastic solution for plastic bags already in existence, but recycling just allows for the continued use of plastic bags. 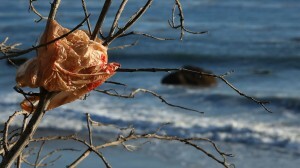 The problems presented by plastic bags will continue to plague the world. These problems may exist on a smaller scale if there is increased recycling, but a problem is still a problem no matter the size. Another problem is that recycling plastic bags is also difficult. 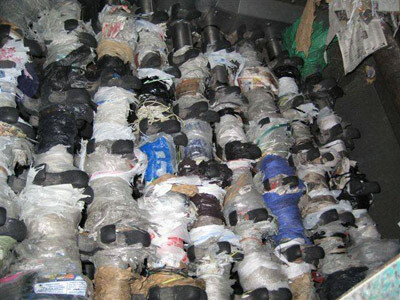 The bags easily become tangled in the equipment, so the people who work the machinery have to routinely shut things down and remove the tangled bags which can pose increased safety concerns and bring diminished profits. Recycling begets the continued manufacture of disposable plastic bags, which means the United States will continue our dependency on oil. There will come a day when we run out of oil. If we continue to use our available oil resources for something as frivolous as plastic shopping bags, the end of oil will come sooner than if we stop using disposable bags and manage our oil supply in a more responsible manner. Factory Direct Promos is not the first (and while probably not be the last) to make the connection between litter and health problems. Plastic bag litter easily holds water and this creates the ideal breading conditions for mosquitoes. These insects are known to carry dangerous viruses and if an act as simple as preventing litter can also limit the odds of contracting a potentially fatal illness, anyone who fails to do so is irresponsible and foolish. To learn more about how standing water can increase the number of mosquitoes head to https://www.epa.gov/pesticides. Plastic bags offer a level of convenience, but the fall out of that convenience has the potential to threaten food supplies, the environment and human health. All of the problems are within human control and something as simple as recycling your disposable plastic bags and stocking up in bulk on reusable shopping bags can make all the difference. Previous Previous post: What are the Pros and Cons of Banning Plastic Bags? Next Next post: Could New York City Be the Next Major City to Ban Plastic Bags? Thank you!! I support plastic bag bans for all the reasons you describe. The time has come for us to realize that “convenience” has a cost. What about the cost to human health from plastic? The communities that live where those bags are made? The environmental effects of plastic bag pollution. If China can ban plastic bags, so can we!!! You get an amen for that one Lindsay. I supply my customers with both one-time use and reusable imprinted plastic and other type bags. I always encourage investing in reusable bags for the reasons given above and to advertise their business in an environmentally friendly way. There seems to be a slow trend in this direction. Hi Wayne, thanks for stopping y and for the comment. The trend is one that is so positive and one that will be forced upon businesses if they do not begin to take the great step you have. The only answer is to go reusable.